‘My character is unique, my ways are unique,’ Sir Sam Hughes. He was indeed unique and he had very little fear. Sir Samuel Hughes, was the Canadian Minister of Militia and Defence during World War I.
Hughes was born in 1853 in the Ontario county of Durham. He taught school in eastern Ontario then in Toronto. When he was 30 he moved to Lindsay and bought the local paper the Warder, which he used to promote his views. He was first elected as Conservative Member of Parliament for Victoria North in 1891. When the Boer War broke out he had planned to raise troops for duty in South Africa. The plan was turned down by Army Headquarters in Ottawa. He still managed to get to South Africa and join the British Army fighting the Boers. He proved to be a competent front-line soldier, but his disdain for “inept” British officers and lack of discipline resulted in his dismissal. When he returned home he re-entered politics, but it didn’t prevent him from waging an endless campaign for a Victoria Cross which he felt the British army had denied him. Canadian Prime Minister Robert Borden appointed him Minister of Militia and Defence when the Conservatives swept the 1911 election. When the war broke out Hughes scrapped the mobilization plan that had been prepared by the British professionals on the Canadian general staff and created his own. When Lord Kitchener tried to break up the CEF, Hughes refused. He insisted that since Canada was paying the bills it should control its own forces in everything except for the top commanders and the overall war strategy. When Canada entered the war in August 1914, it had only about 3,000 regular troops. 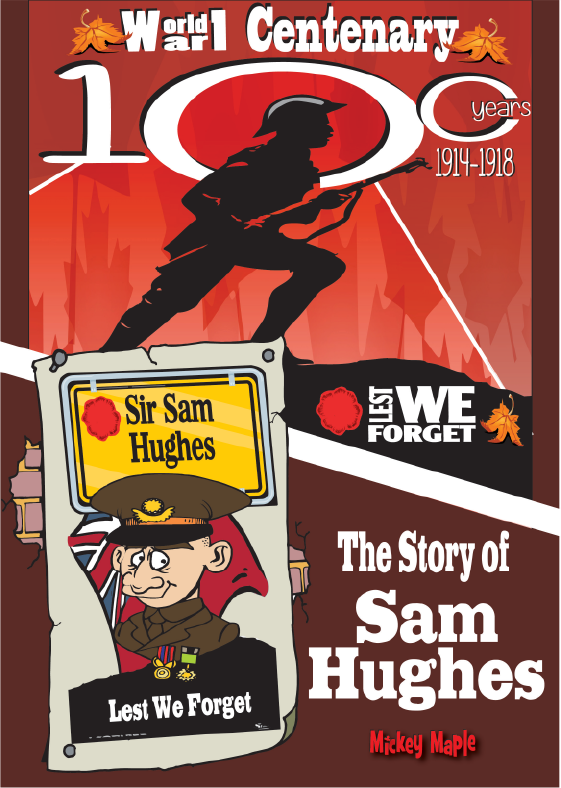 The fall of 1914 and the spring of 1915 saw thorough recruitment that some counted among Sir Sam Hughes’ successes. Spurred on by patriotic passion and the general excitement of the early days, and convinced that the enemy would soon be crushed, thousands of young men enrolled in the newly-formed army. However, Hughes came under constant fire for: his overbearing manner and violent and insulting language and his continued support for the Ross rifle (he was on the committee that recommended it, despite evidence that the Ross was prone to jamming in the harsh conditions in France). The criticism from his own party gradually led the Prime Minister, Sir Robert Borden, to tighten the reins on Hughes. The Prime Minister had no choice but to ask for his resignation in 1916. Hughes spent the next five years, the last years of his life, as a backbencher.